Textbook Mommy: Why Get Your Certificate III In Early Childhood Education And Care Online? Why Get Your Certificate III In Early Childhood Education And Care Online? Working with children in any capacity can be very rewarding indeed, but it’s not like you can do this kind of thing without training of any sort. If you want to work with kids, you should probably get a certificate III in early childhood education and care. However, studying in a classroom is not all that fun. So, why take this kind of course, and why take it online? One advantage that you get from getting your certificate III in early childhood education and care online is that you can get started really quick. Some programs require years and years of studying, which is of course not ideal. The more time you spend studying, the longer you have to wait to get a job and start actually making money. With an online course like this, you can get into the career of your choosing in as a little as 9 months. When you get your ECE certificate online, you save money, which is true in more ways than one. First off, these kind of online courses tend to have much lower fees than the classroom counterpart. Next, online E-books are also cheaper than hard copy books. Moreover, the cost of commuting to and from class on a daily basis is very high, which is true whether you have a car or take public transportation. The fact that you can also work on the side, even full time, is a big advantage as well. The bottom line is that you will save more money and make more of it too, all by getting your certificate III online. If you want to go into a career field with lots of variations and opportunities, getting your early childhood education and care certificate is a good choice no doubt. There are so many different career opportunities to choose from. You can become a counselor, work in social services, become a teacher, run a daycare, and so much more. The choices are not endless, but there are definitely enough of them. It is almost impossible to not find a good job with this kind of degree. One thing that is fantastic about getting your ECE certificate III and joining this career field is that you get to help shape the future. You will teach, counsel, and help children of all sorts to become better, more productive, and ultimately more successful people down the road. By working with children, caring for them, and educating them, you are directly shaping the future of your country and the world in general. It takes good teachers to create a good future, and that could be you. There are some pretty interesting facts to consider if you feel like getting your certificate III in early childhood education and care. Did you know that close to 65% of people have a much better employment status after getting this certificate? And moreover, the median income for anybody with this ECE certificate is $38,000 annually for a first full time job. Also, this kind of certificate sets you up for further studies down the road, which then increases your chances of landing a better and higher paying job in the future. The bottom line is that getting your certificate III in early childhood education and care online is also quite relaxing. Instead of dealing with professors that have odd quirks, uncomfortable desks, plus loud and interruptive classmates too, you get to study from the comfort and quiet of your own home. 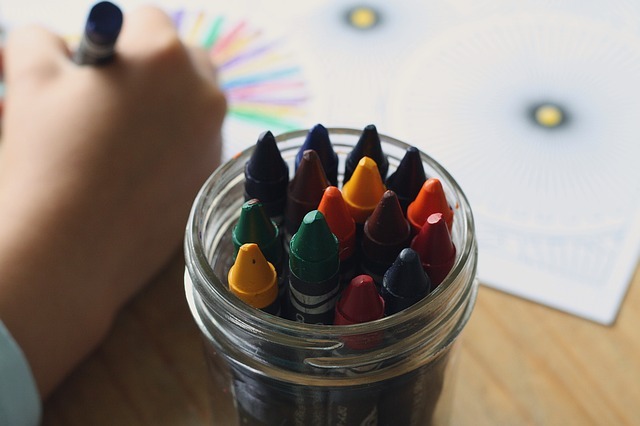 If you like working with kids, getting your certificate III in early childhood education and care might just be the best choice for you, especially when you take the course online. It’s relaxing, it’s not too expensive, it is convenient, and it sets you up for a bright future too.